During World War II, my mother was a riveter and buckaroo, building bombers and troop ships for the Fairchild Aircraft Factory in Hagerstown, MD. If not for her and millions like her, our Armed Forces would have been hard-pressed to defeat the Nazis and Fascists. In the 1940s, when most women were expected to stay at home and have babies, a new era was born out of the necessity created by the greatest war our country has ever known. Every able-bodied man was expected to fight in the war that no one really wanted, and so the women of America had to leave their homes and families to work in factories across the land, doing “men’s work” to produce goods, ships, planes, weapons, and ammunition to feed the war machine. For the first time in American history, women were “allowed,” even required, to learn mechanical and technical skills necessary for the nation’s work. About 6 million women went to work for the first time and others, already employed, moved up to the better-paying jobs in the war industry. She’s a part of the assembly line. “Rosie the Riveter” became the nickname for the millions of women from all backgrounds and across the country who worked in wartime industries and support services, including aircraft factories, shipyards, steel mills, foundries, lumber mills, warehouses, offices, hospitals and daycare centers. Norman Rockwell painted his own tribute to these brave women, which appeared on the cover of the popular Saturday Evening Post (May 29, 1943–Memorial Day). Other illustrators added their own touches as the image of hard-working, earnest women in war plants across the country became as important to morale as similar images of our soldiers, sailors, airmen, and marines. Rockwell’s version is more realistic (and less flattering) than later drawings which softened the image of hard-working, yet still feminine, American women. “She is big and dirty. She’s over-sized, with working-class brawn. She wears goggles and a shield. In reality, it’s unlikely that she would have worn both.The leather arm-band provides protection on the job. She has no wedding ring. On her lapel you can see various pins–for blood donation, victory, her security badge. “She’s wearing overalls. Women didn’t wear pants in public much before World War II; but during the war it became common to see women on the way to and from work in overalls or trousers.She’s wearing loafers. Only after July 1943 were safety shoes with metal toes produced for women. There had been no need to manufacture these shoes in women’s sizes before because women didn’t customarily work in dangerous jobs where such shoes were needed. Most women wore their own shoes. She cradles a very large riveting gun in her lap, and it links visually to Adolf Hitler’s book, Mein Kampf, beneath her feet. The implication is clear: through her defense job, she will help to crush Hitler. Rosie became a recruitment tool aimed at getting more women into the war effort and emphasized that it was their duty to build the planes and ships to bring their men home. Of course, women in poor circumstances had always worked, but WWII was the turning point for massive employment of white, middle-class women and the first wave of feminism. Besides the Fairchild Aircraft factory in Hagerstown, MD, nearby facilities included Glen L. Martin in Essex, MD, the Sperry Gyroscope plant in Brooklyn, NY, and the Proving Grounds in Aberdeen, MD. Working in the defense industry, women like my mother built airplanes like the C82s, C119s, and even the huge troop ships (C123s—you could drive tanks into them!) as well as wings for the PBM-3 bombers. Mom and her coworkers were given specialized training to perform essential riveting on American planes. The rivets that held the planes together had to be placed accurately, perfectly, for the protection of the men flying them. Often, because of her small size (5’4” and weighing about 98 pounds), Mom was expected to do the riveting in tiny places the men couldn’t reach. Supervisors soon discovered that the women performing these duties were more precise and detail-oriented than the men had been. Rivets could cause severe damage to the riveter or buckaroo if not placed correctly. When I was in college, I worked as a riveter making television aerials in a dirty, noisy factory and I witnessed first-hand how dangerous riveting can be. The man who had trained me on the riveting machine mishandled his device one day, shooting a rivet through his thumb, breaking a bone and causing massive tissue damage. A bloody accident–Not for the faint of heart! The average pay for riveters in the 40s was a whopping 75¢ an hour (starting wage was 50¢ an hour, with a 5-cent bump for 2nd and 3rd shifts), but the women were given regular raises. The foremen and supervisors were all men, yet no one questioned that then. At the Fairchild Aircraft plant, women making 55¢ an hour increased from 20 % of the force to almost 70% by war’s end. Statewide, four of every five defense jobs was held by a woman. The E ribbon was awarded to every woman who worked at Fairchild; it signified Excellence in production of the planes necessary to the Armed Forces. America and the world owe a debt of gratitude to all the women who served in the military or in war industries during WWII, for, without them, we would not be here. http://www.nationalmuseum.af.mil; The Rosie the Riveter/World War II Home Front National Historical Park http://www.nps.gov/rori/; Work & wait, Allegany County : the home front years, 1941-1945, compiled by Allegany High School Social Studies Department, Cumberland, MD : Allegany High School, c2003; Western Maryland Regional Library, 100 South Potomac Street, Hagerstown, Maryland 21740; http://www.whilbr.org/rosie/index.aspx; . Examining county lines becomes important in performing genealogical research in many states because most records are still kept at the county seat. Knowing when a county was formed or broken up into smaller counties is essential when trying to locate particular individuals. Often, I have been unable to locate ancestors in counties in which they lived, and so I have been forced to delve into materials relevant to county formation to determine where these “vanishing” ancestors were. If you encounter similar problems, be sure to visit websites for your state and/or county to discover similar information. The details presented here pertain to West Virginia, but the rationale can be employed for other states as well. In 1792, Kentucky county became the state of Kentucky. Illinois included all the lands of Augusta County that were north of the Ohio River and this property was ceded to the Federal Government in 1784. It is also significant that the State of Virginia claimed extensive tracts of land that became the basis of boundary disputes for years. You should keep in mind that contemporary histories or public records reflect which county and state had jurisdiction at the time the records were produced, so a relative in PA might be in VA, for instance. Virginia claimed land in present-day western Pennsylvania by right of charter, and had a presence at the confluence of the Allegheny and Monongahela Rivers by 1754. Many of the earliest residents considered themselves Virginians, having previously lived in the Potomac River watershed. Ohio County originally included a western segment of Greene and Washington Counties in Pennsylvania. Monongalia County included the remainder of Greene County, a southern section of Washington County and a western slice of Fayette County, Pennsylvania. Yohogania County, which became extinct less than a decade later, encompassed those parts of Beaver and Allegheny Counties south of the Ohio and Allegheny Rivers, the remainder of Washington and Fayette Counties and all of Westmoreland County. Residents of this area may appear on Pennsylvania and Virginia military records, as units were recruited from the area. Virginia regiments departed for operations on the western frontier from bases at or near Fort Pitt (today’s Pittsburgh, PA). The pioneers in southwestern Pennsylvania, northwestern Virginia and West Virginia considered themselves Virginians even a century after Ohio and Pennsylvania, for example, had control and dominion over those areas. After the Revolutionary War, veterans who had served three years or more were awarded bounty land warrants. Most of western Virginia had already been given away, so Revolutionary War vets received land grants in the Virginia Military Reserve areas in Ohio and Kentucky (called the Western Reserve). The Library of Virginia preserves original documents such as testaments from superior officers and fellow soldiers, most of which are available in microfilm or fiche, or may be digitized. Also of interest are ‘public service claims’ made by civilians who assisted the Patriot army with food, horses, mules, weapons, and ammunition. For Civil War records, try to establish whether your ancestor was in the Union or Confederate forces. Only Union veterans and their widows were eligible for pensions. West Virginia is especially difficult because, despite the new state’s creation when it refused to secede with other southern states, those who fought were equally represented on both sides, blue and gray. For Union soldiers and sailors, search theWest Virginia Adjutant General’s and National Archives records, For decades, it was assumed that in WV Union soldiers outnumbered Confederates by about 3 to 1, but we now know that the ratio was about 50/50. Once you have located your ancestor in the alphabetized indexes, determine his regiment, whether he was in the infantry, cavalry, artillery, or navy. You can then determine the company letter, age, enlistment date, muster-out date, and even enlistment and/or discharge papers listing the soldier’s physical characteristics and home county. The muster rolls may indicate illness, whether he was wounded or killed, and the battles in which he and his regiment fought. You may also discover charges against his pay for losing a canteen or whatever. If he died during service, his death notice may show his parents’ names and other details. Officers’ records are more extensive. You can search these materials online, and you can order photocopies of your ancestor’s military records from the NARA (National Archives) website for a fee (NATF form 85). If he has unclaimed medals, you can claim them by proving you are a direct descendant. Confederate records can be accessed in the same way, although these tend to be incomplete. For Confederate ancestors, you might find an Oath of Allegiance which all rebels had to sign after the end of the war. These may offer invaluable information. Most Confederates did not receive pensions, but you should check the Library of Virginia‘s website anyway. You can then proceed to examine regimental histories (available online and in printed form), which have specific information about troop movement and battles fought, casualties, and so on. Don’t forget to look for manuscripts collections, wartime newspapers, and even local histories. More histories have been written about Confederate regiments than for Union outfits, but you should still search. I found a detailed history of my great-grandfather’s WV regiment which helped me picture its activities and locations. The 45th US Colored Infantry was the only black regiment assigned to West Virginia. Most of these men were from Virginia, West Virginia, or Pennsylvania. These soldiers were either escaped slaves eager to serve to establish their “free” status, or “freedmen” from different states placed together near the conclusion of the war after African-American troops had proven their effectiveness in battle. Many soldiers began their service in local militia units and remained there, being called Scouts or Home Guards. Regular army soldiers tended to look down upon these home-grown militia, yet they were often the first line of defense, protecting railroads and fighting Rebel guerillas. There is scant information about these individuals and you may find that an ancestor who applied for a pension after the war was denied such because the government which used these men did not choose to recognize them as legitimate claimants. This is true for the Revolutionary War, the War of 1812, and the Civil War. Stone Walls—the regular 1890 Federal Census was burned, making our trek through the past more difficult. However, there remains the 1890 Veterans’ Census which contains material on Union soldiers as well as some Confederates. Search the alphabetical index and then access microfilm or fiche. Note that many of these records are being digitized and may soon be available online. When in doubt, search your favorite genealogical website (ancestry.com or familysearch.org, for example), but also Google everything. Remember, too, to search the Library of Congress website, for they hold zillions of original records, manuscripts, and even photographs and other images relating to our country’s history. A Guide to Virginia Military Organizations in the American Revolution, 1774-1787. Michael F. Doran, Atlas of County Boundary Changes in Virginia: 1634-1895. Howard L. Leckey (Greene County historian), The Tenmile Country and Its Pioneer Inhabitants. Reddy, West Virginia Revolutionary Ancestors. The Roster of Union Soldiers, 1861-1865 (Broadfoot Pub). 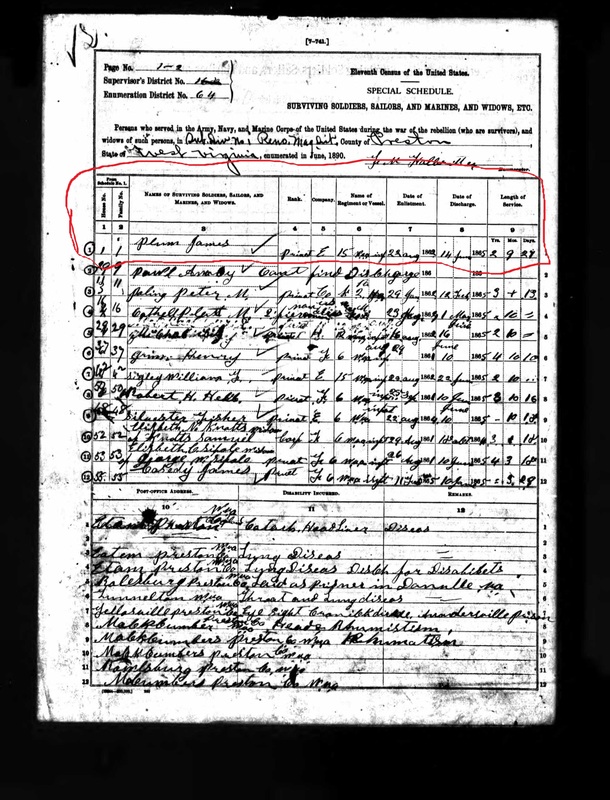 This entry was posted on April 4, 2015, in Family History, Just Genealogy, Language & Writing, Mullenax Lineage, Plum Tree and tagged county formation, enlistment, genealogical research, how to, Kentucky, muster rolls, West Virginia, western Virginia, WV..
My maternal grandfather’s mother was a Cunningham and I have written about the first Cunninghams to come to America from Ireland and spread their proud Scots-Irish branches during the birth and development of our country. While the family tree from my great grandmother Mary Ann Cunningham is on firm ground, with sources verifying our direct line to Hugh Cunningham and his wife, the Irish and Scots connections are still a bit tenuous. For once, then, I write of the Cunningham history from the first Cunningham through his many descendants and their accomplishments and struggles. Around 500 AD, the Dalriada Scots emigrated from Ireland to Scotland, only to confront the Britons and Picts. In the twelfth century, Hugh De Moreville granted the manor of Cunninghame and most of the parish of Kilmaurs to his loyal warrior, Wernebald, progenitor of the Earls of Glencairn. The land Wernebald received had been named Cunninghame for centuries, eventually encompassing the northern third of Ayrshire. Following custom, Wernebald’s offspring assumed the name Cunningham, as did the serfs and villeins who worked for the family.The Cunninghams were Lowlanders who looked down on their ‘savage’ neighbors and were often called to fight Highlanders by the Kings of Scotland. Finlaystone, the ancestral home of Clan Cunningham, is located along the River Clyde in Renfrewshire, west of Glasgow. It came to the Cunninghams in 1399 when Sir William Cunningham, Lord of Kilmaurs, married Margaret, the daughter of Sir Robert Danielston of that Ilk, who presented his new son-in law with Finlaystone in Renfrewshire, Glencairn in Dumfriesshire, Danielston and Kilmarnock. Wernebald (Warnebald) was a vassal of Hugh De Moreville, Constable of Scotland, who gave him the Cunningham lands. Wernebald sounds Scandinavian, perhaps Danish. His son Robert De Cunynghame De Kilmaurs is probably the same Robert who married Richenda De Barclay (Berkeley) and gave the patronage of the Church of Kilmaurs to Kelso Abbey. He was succeeded by his son, Robert De Cunynghame De Kilmaurs, who had three sons: Robert, William, Sir James. Of the last two there is no descent known. The eldest son, Robert, succeeded him. Robert De Cunynghame of Kilmaurs is listed as son and heir of Lord of Kilmaurs in a donation to Paisley Abbey about 1240. 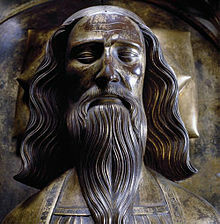 His son, Hervey De Cunynghame of Kilmaurs, participated at the Battle of Largs against the Danes in 1263 and was granted a charter in 1264 for his gallant service. He died before 1268. He married the heiress of Riddell of Glengarnock, by whom he had two sons: Galfridus–the second son–was ancestor of the Cunninghames of Glengarnock. His eldest son, Sir William Cunynghame, succeeded Hervey in Kilmaurs. He appears in records dated 1269 and 1275 and died in 1285. He was succeeded by his son, Edward Cunynghame of Kilmaurs, who appears in a record in 1290. 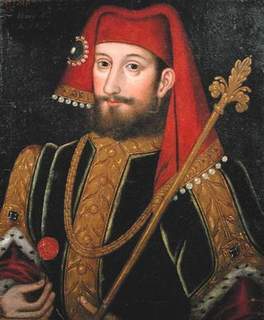 His second son, Richard, was ancestor of the Cunninghames of Polmaise. 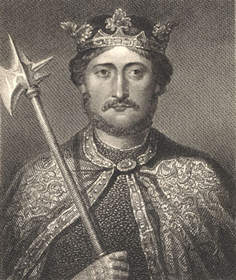 His eldest son, Gilbert Cunynghame of Kilmaurs, was one of Robert De Bruce’s nominees in the competition with John Balliol for the Crown. He was succeeded by his eldest son, Sir Robert Cunynghame of Kilmaurs. He swore fealty to Edward I in 1296, but afterwards joined De Bruce, and was rewarded by him with valuable lands in Kilmaurs. 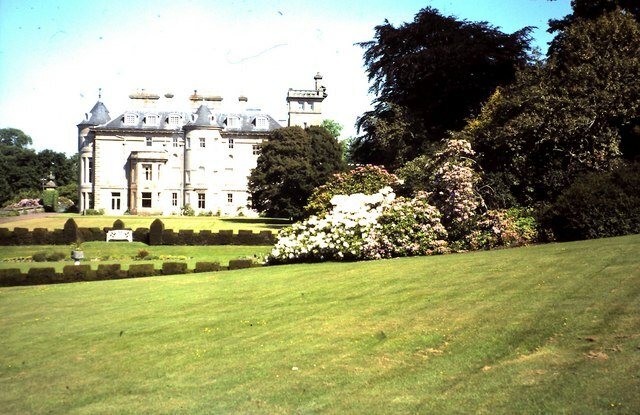 His second son, Andrew, was ancestor of the Cunninghames of Ballindalloch, Drumquhassel, Balbougie, Banton, etc. He died about 1330, and was succeeded by eldest son Sir William Cuninghame of Kilmaurs. Sir William appears in records in 1350, 1354 and 1364. He married Eleanor Bruce, Countess of Carrick; and in her right was created Earl of Carrick; they had no children. By a previous marriage he had three sons. His third son, Thomas, was ancestor of the Cunninghames of Caprington. The eldest son predeceased him, without issue. He was succeeded by his second son, Sir William Cuninghame of Kilmaurs, who acquired land by marriage with Margaret, the eldest co-heir of Sir Robert Danielston. His part of that vast property was the lands or baronies of Danielstoun and Finlaystoun in Renfrewshire, Kilmarnock in Dunbartonshire, Redhall and Colintoun in Midlothian, and Glencairn in Dumfrieshire, afterwards the chief title of the family. He died in 1418. His second son, William, was ancestor of Cunninghamhead. His third son, Henry, appears in 1417 in a transaction at Irvine. He was succeeded by his eldest son, Sir Robert Cuninghame of Kilmaurs. He married Anne, the only daughter of Sir John De Montgomery of Ardrossan in 1425, by whom he had two sons. The second son, Archibald, was the first of the Cunninghames of Waterstoun, now extinct. He was succeeded by his eldest son, Alexander Cunningham, the first Earl of Glencairn. (1488): Alexander Cunninghame–Alexander became the Earl of Glencairn in 1488, taking his title from the family’s estate in Dumfriesshire. His title prior to being granted the earldom was Lord Kilmaurs. Receiving his title for battle services at Blackness, Alexander was killed in the same year at the Battle of Sauchieburn beside his king. (1488-1503): Robert Cunninghame–When the Earldom was rescinded by King James IV, Robert was left with only the title of Lord of Kilmaurs. (1503-1540): Cuthbert Cunninghame–The title was restored to Cuthbert who created the Burgh or Barony of Kilmaurs in 1527. This was introduced in the form of a charter which granted 280 Scots acres to 40 “tennamenters”, each of whom would hold a fortieth part of the total area. (1540-1547): William Cunninghame–The 4th Earl was active in the cause of the Protestant Reformation. He was loyal to the Crown at first, but when he witnessed the atrocities of the English, he joined the forces of the Reformation and played no small part in the cause. (1547-1574): Alexander Cunninghame– He supported the Reformers and openly encouraged John Knox to return to Scotland. Known as the “good earl,” Alexander and Knox became firm friends. It is said that Knox gave his first communion under the yew tree which still stands at Finlaystone. On the battlefield, Alexander mustered and led 2,500 men to Perth to defend the cause and also opposed Mary Queen of Scots’ return to Scotland. He disavowed her marriage to Darnley and in the name of the Protestant forces, was in the forefront in the battles of Carberry Hill and Langside. (1574-1581): William Cunninghame–He concentrated on trying to cool the on-going blood feud between the Cunninghame and Montgomerie families. He was somewhat successful in establishing bonds of friendship with Campbells, Montgomeries, Boyds, Wallaces, and his own family. This allowed arbitration to adjudicate disputes between families. (1581-1629): James Cunninghame–James did not support the work of his father. Thus, the Cunninghame-Montgomerie feud was renewed in local skirmishes and bloody battles followed the murder of Hugh, 4th Earl of Eglinton at Stewarton by Cunninghams. Although he denied knowledge of the affair, James was never able to remove suspicion until he took legal action to counter the charges laid against him. These charges reached the Scottish Parliament, and while litigation dragged on, many of the Cunninghames and Montgomeries were killed or fled the country. In the end James was exonerated and agreed to friendly negotiations with the Montgomeries. He subsequently commissioned the erection of a sculptured mural in that part of the Parish Church known as the Glencairn Aisle. (1629/30-1631): William Cunninghame–William’s reign as the Earl was short and it is unclear when he assumed the title because the exact date of his father’s death is open to question. (1631-1664): William Cunninghame–A consistent supporter of Charles I, the 9th Earl was forced to forfeit his title to the Scottish Parliament, but when he realized the possibility of Scotland being drawn into the feud between Charles and his Parliament in London, William’s support quickly evaporated. His title was restored and, following the execution of Charles I, William fought with the Highland clans against General Monk when Cromwell invaded Scotland. Following a personal duel and skirmishes in the ranks he withdrew his forces, then engaged Monk’s columns at Dumbarton where overwhelming odds forced him to surrender on honorable terms. He returned home but was thrown into prison on suspicion of plotting against Cromwell’s government. When the kingdom was restored, Charles II rewarded him with an appointment as Privy Councilor. He was elevated to Lord Chancellor but further political intrigues reduced his powers to almost nothing and he died a disillusioned, broken man. (1664-1670): Alexander Cunninghame–His time as Earl was spent in comparative peace concentrating salvaging family property from litigation stemming from family feuds of former days. On his death his brother John succeeded to the title. (1670-1703): John Cunninghame—John was a committed Royalist and was appointed a Commissioner of the Crown, empowered to enforce laws abhorrent to the Covenanters’ cause. This role earned him the dislike of many in Western Scotland, as the Covenanters considered that the new laws (which affected the Church and its ministers) were a return to the days before the reformation. John’s enthusiasm for enforcement waned and he and other Cunninghames became supporters and defenders of the Covenanter cause. (1703-1734): William Cunningham–His 31 years as Earl were uneventful. He was appointed Privy Councilor and served as the Governor of Dumbarton Castle, previously held by his father. The Cunninghams by this time were residents at their Finlaystone home in Renfrewshire but still had business interests in the Kilmaurs. William and his wife lost seven of their eight sons. (1734-1775): William Cunningham–Like his forebears William was involved in the affairs of the Church and became embroiled in bitter wrangling in the Laigh Kirk in Kilmarnock. The root of the problem was internal politics of the Church which occasioned Robert Burns to write “The Ordination.” William’s presentation of a “New Light” minister displeased the congregation to the point of rioting. His marriage to Elizabeth Macquire was not approved of by the aristocracy, as his wife was the daughter of a carpenter and traveling fiddler. From this marriage his son, James, succeeded to the title. (1775-1791): James Cunningham–To Burns enthusiasts, James is the best known of the Cunninghams. As a Representative Peer he had great influence in Edinburgh. On reading the first published work of Robert Burns he became an avid supporter and patron of the bard. James was responsible for the support given to Burns by the Caledonian Hunt who subscribed “one and all” towards the publication of the Edinburgh Edition of the poet’s work. James’ journey back from Portugal ended at Falmouth where he died of a severe illness on 30 January 1791. Burns was greatly affected by the news of his patron’s death and his great tribute to James, “Lament for James, Earl of Glencairn,” is an emotional eulogy for the Earl. (1791-1796): John Cunningham–John was the brother of the 14th Earl and early in his career was an officer in the Dragoons. Later he took orders in the Church of England (Anglican! ), much to the dismay of his friends in the Scottish Church. On his death he was buried in St. Cuthbert’s, Edinburgh and the title of Earl of Glencairn has remained vacant since. Part 2 will focus on the Cunninghams who moved from Scotland to Ireland on the Ulster Plantation. This is the strongest contender for our ancestor: Samuel Row or Rowe born about 1864 or 1865 in Devon, England to Elias & Elizabeth Row(e). We have both the 1871 and 1881 UK Census for this family. According to the 1871 details, they were living in Murton Colliery, indicating that the father, Elias, was a coal miner. Ten years later, they’ve moved to Eight Rows Five in County Durham and Samuel indicates his occupation is driver in a coal mine. Eight Rows Five is an odd name for a town, but suggests to me that they were living in a coal town that was built for the miners and their families on the actual site of the coal mine. This was a common occurrence in 19th century England. In an odd coincidence, this Samuel Rowe was born in Murton Colliery, which is where Ann Tennant was born (she’s my Dad’s paternal grandmother)! These listings are possibles, but are, I think, less likely to be our Samuel Roe. The Grandfather Samuel is listed as a Greenwich RN pensioner. The father is not listed, so might have been at sea or dead. Cornwall was another big site for mariners and Royal Navy. This last family fits in terms of birth date and place. In such a big family, it would make sense that 10 years later, Samuel would be moving on. This entry was posted on February 25, 2015, in Family History, Just Genealogy, Mullenax Lineage, Plum Tree, Roe Lines and tagged ancestry, blogging 101, colliery, Devon, family history, genealogy, Mary Elizabeth Roe Mullenax, Plum, Plum Tree, West Virginia. Coat of Arms: Silver with a black shakefork. Motto: Over Fork Over. The coat of arms of the Cunninghams usually features rabbits, which lends credence to the theory that the name came from a Scots term for rabbit (coney). The Cunningham district in Ayrshire, Scotland is so-named for Robertus Cunningham, who received the grant of the lands of Cunningham 1160-1180. Some argue that the name originated with Malcolm, one of the sons of the Flemish knight Freskin. The Cunninghams fought for Scotland during the Scottish War of Independence under Robert the Bruce. Despite this, the family appeared on the Ragman Roll of 1296 pledging loyalty to King Edward I. Bruce rewarded the Cunninghams with land in Lamburgton, added to Kilmaurs in 1319. During the uprisings of the 17th century, the 9th Earl of Glencairn (the Cunningham title) fought for King Charles II of England (the grandson of James I of England, James VI of Scotland), a Catholic, against the Protestant Roundheads. In 1653 Cunningham raised an army of Highlanders for Charles and voiced his ambition to raise Scotland against Oliver Cromwell. Cromwell’s army defeated the king and the Cunninghams were forced to leave Scotland for Ireland. After the Restoration, Cunningham was appointed Lord Chancellor of Scotland and died in 1664. During the 17th century the Cunninghams left Scotland to become part of The Plantation of Ulster. This was an effort by English kings to control the ‘Irish problem’ by stealing lands from the Irish Catholics and giving or selling the lands to Scottish Presbyterians and some English Anglicans. The English thought that the Scots and Irish would intermarry—which they did—and the Protestant Scots would keep the Irish Catholics docile to their overlords. It didn’t work, but it did lead to the evolution of the bravest and strongest fighting men and women, the Scots-Irish, many of whom would go to the New World, fight a revolution, and create a democratic republic. Girton, Ritchie Co, WV; married to 1a.Jacob Mullenax (1842-1892) 23 Sept 1865 in Ritchie Co, WV). Mary Ann and husband Jacob, along with Jacob’s older brother Washington J. Mullenax and his wife and family, moved to Sherman, Putnam Co, MO (where Jacob’s father Solomon and stepmother Susan Moats had moved). Some of their children were born in MO, but Jacob and Mary Ann moved back to Ritchie Co, WV in the 1870s and stayed there until their deaths. After Jacob’s death from consumption (tuberculosis), acquired during his army service in the Civil War, Mary Ann applied for and received a Widow’s Pension from the government. My grandfather Melvin was just 9 years old when his father died. Likewise, Mary Ann had been only 10 when her own mother passed on. 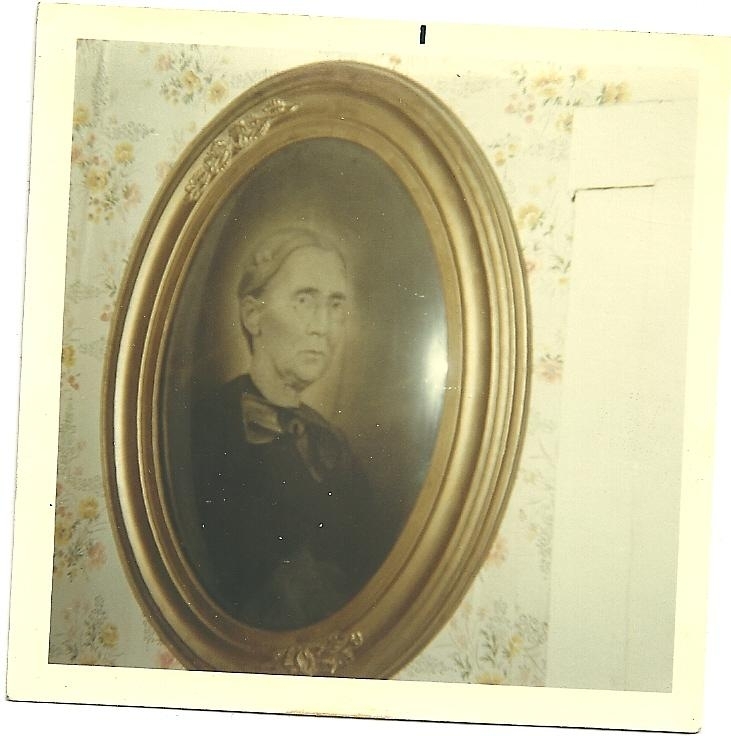 1.Mary Ann Cunningham was the daughter of 2a.Mary Ann Clevenger (1822-1852) and 2.Abraham Cunningham (b. 14 Nov 1806 in Harrison, Charles Co, VA; d. 16 Sept 1886 in Harrison, Charles Co, WV; married Mary Ann Clevenger 1 Jan 1840 in Harrison and m. Rachel Minney 23 Dec 1853 in Ritchie Co, VA). Like many of the Cunninghams, Abraham was a farmer. His parents were 3a.Anne Randall (1757-1817?) 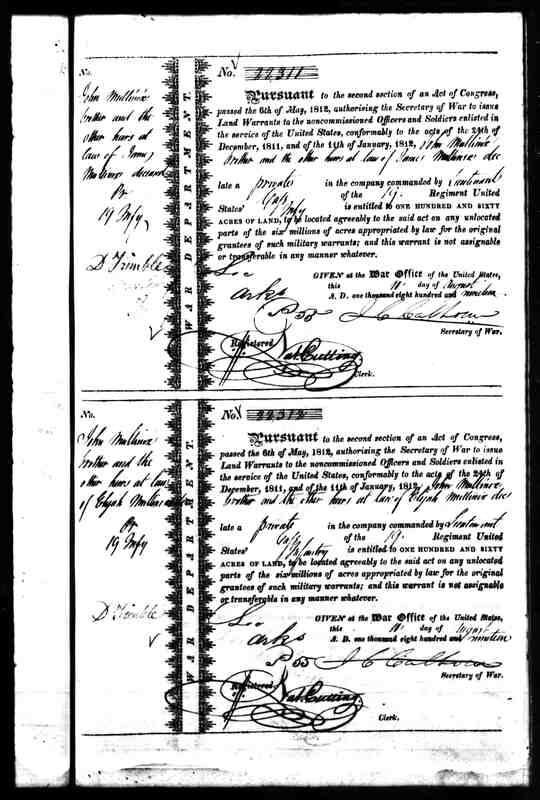 and 3.Walter Cunningham (b. Dec 1749 in Dublin, County Mayo, Ireland; d. Simpsons Creek, Harrison Co, VA; married Hannah Leith in 1768 in Harrison, and married Anne Randall 23 Dec 1804). Walter had 12 children with Hannah Leith, who died in 1803, and had four children with Anne Randall. Walter Cunningham served in the Virginia colonial militia before the break with England and fought in the Revolutionary War and was placed on the pension rolls on 2 Feb 1833 for his service as a private in the VA Militia. His pension was $20 a month. He enlisted in Shenandoah Co, VA in 1776 and served six months under Captains Scott and Rador in the Virginia Line. He had supporting affidavits from Gass Winters and Anthony Kuhn. He was stricken from the pension rolls in March, 1835, probably because he died. Walter was one of the Scots-Irish Protestants born and raised in Ireland who emigrated to the US and fought in the Revolutionary War as well as in the French and Indian Wars, the War of 1812, and pioneered this country. He came from Ireland with his parents and brothers. Walter was one of about 16 children; his mother was 4a.Nancy O’Neil (O’Neal) (1712-1807) and his father was 4.Hugh B. Cunningham (b. 1708 in Dublin, County Mayo, Ireland; d. 1789 in Bingamon Creek, Harrison Co, VA or 9 Aug 1782 in Battle of Blue Lick, Madison Co, KY; married Nancy O’Neil in 1728 in Ireland). With their 8 sons Hugh B. Cunningham and wife Nancy O’Neill (O’Neal) took ship at Dublin, IRE for America, finally landing in Fairfax Co, VA, near Alexandria, in 1748. Adam, Walter, Edward, and Thomas came to Harrison Co, VA. Hugh died at the Battle of Blue Licks, KY during the Revolutionary War. Walter and his brothers settled on the banks of the Potomac, Fairfax, VA; after the Revolutionary War, they came to Harrison Co, VA and patented large tracts of land under the “tomahawk title” on Bingamon Creek. This Hugh (not my 4th great grandfather) and his family suffered two Indian raids by the Shawnees, in 1762 and 1764. His parents were killed in the 1st raid and his daughter, although scalped, lived through the ordeal. On the 2nd raid, the Indians discovered the young girl who had been scalped previously. This being quite a trophy, they took her back to camp and paraded her through various villages, wearing her scalp as a hairpiece. In this last raid, Hugh was severely wounded and his wife killed. At the time, Virginia extended to the Mississippi River and Hugh pushed on to Lincoln, Jefferson Co, KY. He remarried and joined the VA Militia. During the Battle of Blue Licks, Hugh was captured and taken to Canada by the British and their Indian allies. Hugh and his 11 fellow captives were released at the conclusion of the Revolutionary War and returned to Lincoln, KY. Hugh rejoined the Militia as a Ranger-Spy the day of his return. He had been officially declared dead months before and his estate turned over to his wife Elizabeth. 4.Hugh B. Cunningham was the son of 5a.Mary Rebeka Burns (1668-1749) and 5.Alexander Cunningham (b. 1653 or 1663 in Dublin, Ireland or Scotland; d. 1749 or 1747 in Ireland; married 1701 in Leinster, Ireland). Alexander was the son of 6a.Rachel Bruce (1611-1651) and 6.David Cunningham (b. 1607 in Scotland; d. 1691 in Ireland; married 1651 in Leinster, Dublin, Ireland). David and his family were evidently sent to Ireland to settle in the Ulster Plantation scheme of King James I of England (James VI of Scotland). His parents were 7a.Nancy Mary Blessington (1570-1640) and 7.Joseph Cunningham (b. 1568 in Scotland; d. 1637 in Scotland or Ireland; married 1605 in Leinster, Dublin, Ireland). Joseph’s parents were 8a.Sarah Wallace (1531-1631) and 8.John Cunningham (b. 1520 in Scotland; d. 1602 in Ireland; married in 1566 in Leinster). John was the son of 9a.Mary Robinson (1503-1528) and 9.Alexander Cunningham (b. 1498 in Kilmaurs, Ayrshire, Scotland; d. 1579 in Ireland or Scotland; married 1528 in Leinster). So, my 9th great grandfather connects our family to Kilmaurs, Ayrshire and the estates of the Earls of Glencairn, the traditional holdings of the Cunningham family. More later. 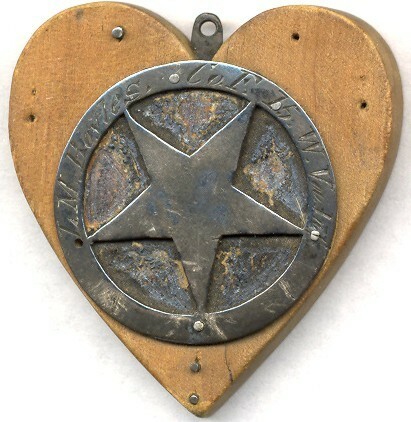 This entry was posted on February 22, 2015, in Family History, Just Genealogy, Mullenax Lineage and tagged ancestry, cunningham, Cunningham Coat, genealogy, history, hugh b cunningham, Hugh Cunningham, ireland, Labin, Mary Ann Cunningham, Revolutionary War, Robertus Cunningham, Scotland, virginia, walter cunningham, West Virginia.